THREE OUT OF THREE AIN’T BAD. More than just a cost-effective way to heat your home in winter, heat pumps also moonlight as air conditioners in the warmer months. Impressed? They’re just getting warmed up. HEAT PUMP FOR THE HOME. FIST PUMP FOR THE ENERGY BILLS. More and more, people are turning to electric cars because they rely less on fossil fuel. It’s the same deal with heat pumps: Because the more often you use a heat pump, the less often you’ll need your gas furnace. And because they run on electricity, your bank account won’t run on fumes when it’s time to pay that utility bill. A SMART ALTERNATIVE TO AN AIR CONDITIONER. Heating, cooling and dehumidifying, heat pumps have it all. Except, perhaps, a name that does their versatility justice. MADE FOR EVERYTHING FROM THE DOG DAYS OF SUMMER TO THREE-DOG NIGHTS. Heat pumps look and function the same as air conditioners for cooling, but in cool months when heat is called for they reverse operation to provide warmth for your home. An efficient heat pump can do this so effectively some homeowners in warmer climates rely exclusively on these units for year-round comfort. If you live in a colder environment, electric-powered heat pumps are great in combination with your oil- or gas-fueled furnace as a Hybrid Heat® solution, which can result in significant savings on your overall heating costs. SPLIT-SYSTEM HEAT PUMPS HAVE A SINGULAR FOCUS: KEEPING YOU COMFORTABLE. 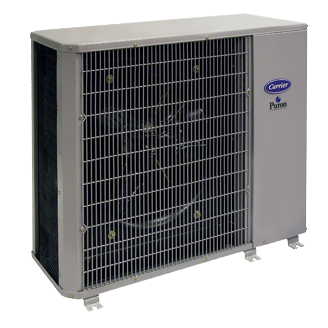 At Carrier, we offer many different kinds of heat pump configurations. The most common is what’s called a split system. This simply means that your solution will have components that reside both inside and outside your home. The heat pump itself sits in your yard like a central air conditioner unit. Inside your home an evaporator coil to convert refrigerant and a blower motor to move the treated air is needed. Often this is a combination of your furnace attached to an evaporator coil, but sometimes, only a fan coil is used for both functions. The pinnacle of Carrier® engineering, our Infinity series heat pump with Greenspeed intelligence offers precise heating and cooling, unwavering comfort, uncompromising energy efficiency and ultra-quiet cooling performance. No wonder this system earned the ENERGY STAR® Most Efficient 2012 qualification. What’s more, all Infinity heat pumps can be part of our revolutionary Hybrid Heat® dual fuel system, which saves you money year-round. The Infinity series heat pump is part of an intelligent, communicating system that delivers superior comfort, quiet performance and enviable efficiency in both heating and cooling modes. In fact, all Infinity models and sizes have earned the ENERGY STAR® qualification. 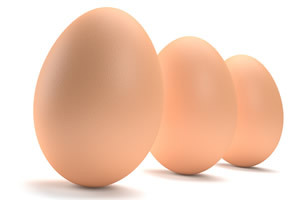 What’s more, they all can be part of a revolutionary Hybrid Heat® dual fuel system, to save you money year-round. Calling it the Performance & Flexibility & Efficiency series proved to be too much of a mouthful, but these units certainly deserve the name. They deliver cozy heat, refreshing air conditioning and summer dehumidification—all with impressive SEER ratings of up to 16.5. This line is compatible as part of a Hybrid Heat® system and includes standard and compact models, most earning the ENERGY STAR® qualification. If you’re searching for the most economical way to get into a more efficient heat pump, look no further than our versatile Comfort series. These models offer summer dehumidification and air conditioning as well as cold-weather heating performance. They can be used as part of a Hybrid Heat® system and are available in a variety of sizes, including heat pumps that earn the ENERGY STAR® qualification when paired with select indoor equipment featuring high-efficiency blower motors.